Whether you have come to the decision to build a self-storage unit as part of an investment or a new business venture, understanding the basics of self-storage construction is a must. You will need to lease or purchase the land your self-storage facility will reside on. While this may seem intuitive, special care must be taken to understand the self-storage market potential of your prospective area. At FDC, we regularly help our partners with the market study, as well as registering for entitlements and special permit registration. Depending on the property you acquire, you will have to account for the development of that property. We’ve helped our clients with self-storage construction projects from demolition to finish-details. Major site improvements have to be made before the completion of some facilities, including but not limited to, demolition, paving, lighting, parking, and landscaping with irrigation. A market analysis is vital to understanding the viability of your self-storage facility’s ROI- You will need to understand any competition, your occupancy potential, and any niche requirements like climate-controlled storage. The amount of land required for construction will depend on the amount of levels your self-storage building will be. A single-story facility will typically require four to five acres and a multi-story facility will require at least two acres. Zoning is a key piece of determining the land you will build on and can be one of the biggest hurdles. You must have complete plans that meet your respective city’s zoning regulations. Some areas will have very specific and detailed self-storage regulations, or you will need to follow the general commercial zoning regulations. Not all construction companies or contractors have the experience or knowledge necessary to help a client through every step of the construction process. We at FDC can proudly say that we have helped multiple clients from concept budget, to market study, design, entitling, and completed construction. With managers claiming that the precise unit mix, coupled with beautiful, well planned storage has helped them experience occupancy as high as 99% and never lower than 92%. FDC completed the new Premier Storage in Hillsboro, OR. This four-storied first-class storage facility was designed to look like a modern office building. 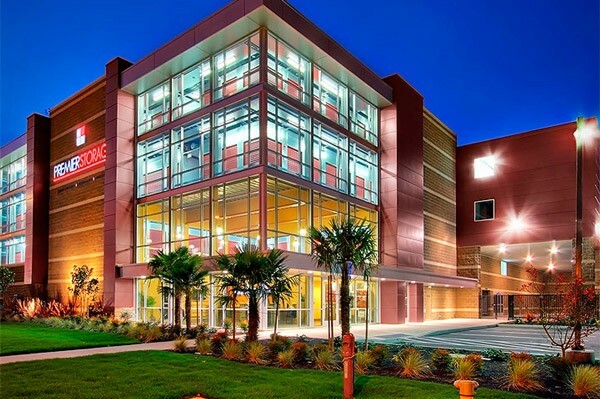 With a two-story atrium in the lobby and office, along with split-faced block, smooth-faced insulated panels and four levels of glass, this facility offers the best amenities and security technology of its time. From demolition to finish-details, FDC worked closely with the owners and consultants of Storage Pro Self Storage to create the 88,000+ SF state-of-the-art storage facility. Storage Pro Self Storage consists of 3 separate buildings complete with an office and over 87,000 SF of Self Storage. Major site improvements had to be made before the completion of this facility, including but not limited to, demolition, paving, lighting, parking, and landscaping with irrigation. 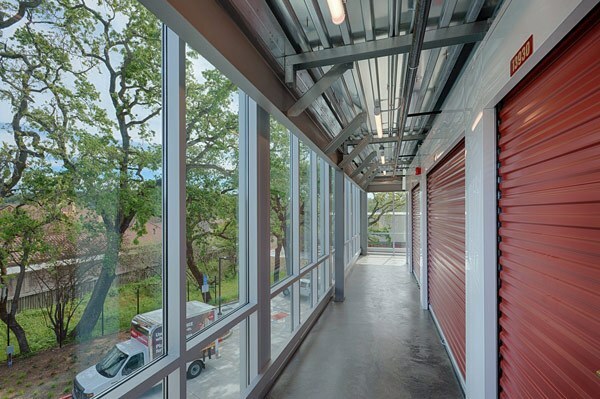 FDC was selected by the developer to transform an old and dilapidated 80,000 SF four-story structure in downtown Portland, Oregon, into a brand new state-of-the-art self-storage and wine storage facility. 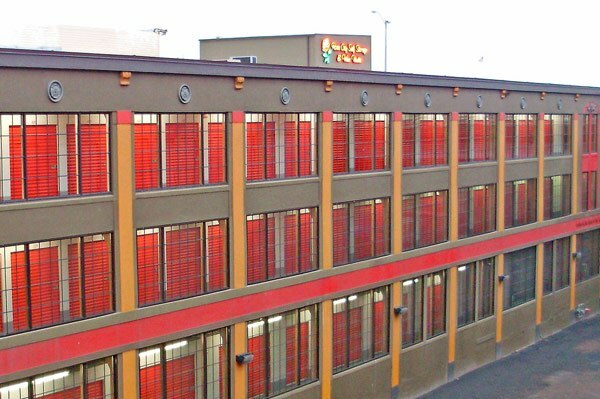 FDC entered into a turnkey contract with the developer and handled the market study, all design and engineering, complete entitlements, and registering the completed building as a Historic Landmark with the City of Portland, the State of Oregon, and the National Trust for Historic Preservation out of Washington, D.C.
We are proud to be a local leading force in self-storage construction. Our team works hand-in-hand with business owners to craft structures that meet their goals and provide a high-degree of cost efficiency. If you would like to learn more about partnering with FDC for construction services, please call or contact us online today.